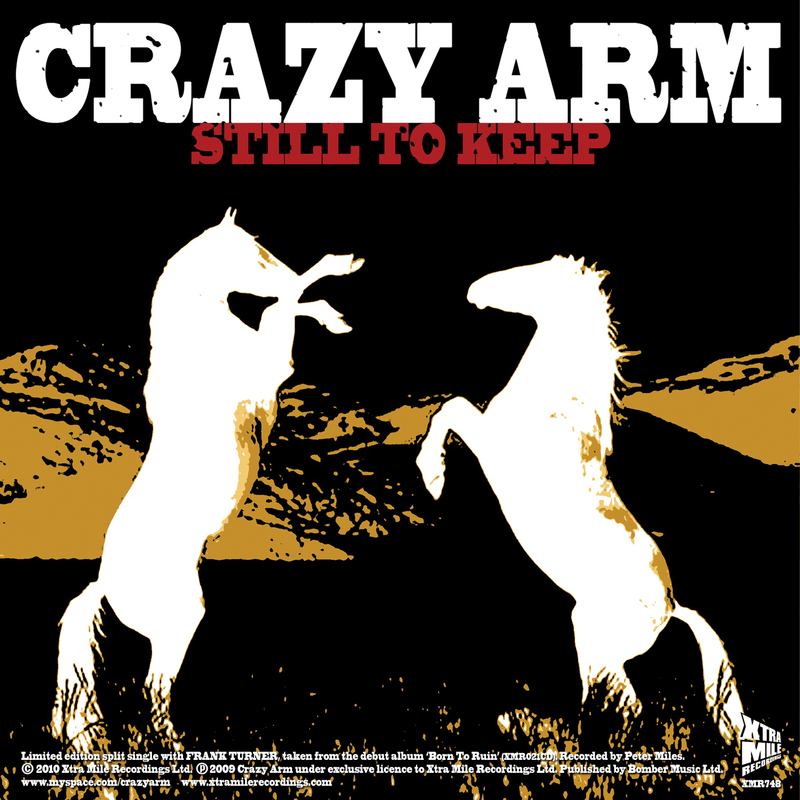 “Still to Keep” is Crazy Arm’s third single from their debut album “Born to Ruin” released in June of 2009. The band’s album was released to critical acclaim from and this single demonstrates why. In an industry awash with indie mediocrity it is enormously refreshing to hear a band delving into the pop-punk genre which seems to have disappeared from the radar in recent years. With true punk form the lyrics remain very anti-establishment but do so in a way that gives hope rather than taking it away. “Still to Keep” has strong, galloping verses full of punkish angst and shows the band as a tight unit. The chorus takes the pace of the song down a notch and turns in to a shout along anthem for the trodden masses. At over 4 minutes long the song still manages to keep its pace throughout which is an obvious sign of a band doing something right. Crazy Arm is most certainly a band to look out for.